A skin suite made to resemble some of the road signs found all around Australia. 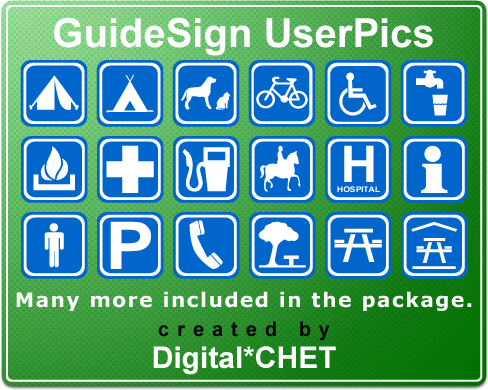 This is the first release of a series of WindowsXP UserPics based on real-life recreational information signs found around Australian roads, though they are internationally understood. GuideSign BootSkin: Requires re-uploading (crash victim ). There are people who *actually want* the entire theme?! ?